Regarding the horror is possible to identify a paradox: the binomial repulsion and attraction. Art has always had a privileged role in Horror's representation, being a favorable medium to its transfiguration. The idea that beauty was an unshakable criteria of artistic representation is quite naive, particularly if we think about the artistic production since modernity. Not only art represented the horror and the macabre since immemorial times, but it also has been a way of reflection about death, the most inscrutable mystery of life. The Abject Art, for instance, search for a lost and desired territory: the body without guilt. Revealing the eschatological nature of the body, several contemporary artistic works put the spectator in constant ambiguity between pleasure and pain, desire and disgust, namely when such works use the death body as an artistic material, breaking, in a fatal seduction, the most feared of the social taboos. In this chapter is intended to make a reflection on the power of seduction that horror plays through art representation. Art becomes a single and perfect medium of transfiguring the disgust attraction for the horror. In the first part the aim is to highlight the philosophical sources that from an aesthetic and psychoanalytic point of view, have warned for this paradoxical relationship between art and the horror and its consequent seduction ability. In the works of Aristotle, Schiller, Bataille, Deleuze, Kristeva and Arthur Danto, it’s possible to find an appreciation of the transfiguring power of art, which puts us in contact with certain realities that only through its mediation can bring fruition to the public. On the other hand, through the “aesthetic shock”, such transfiguring power of the art puts us in contact with the most philosophical and existential issues of life, including the issue of death, about which the human being is forced to inquire. That will lead also to the inquirer role that art plays in life. On the second part, the aim is to understand to what extent the abject art can be seductive and meet in the world of institutional arts a highly fertile ground. Abject art depicts what most people would rather not see. This kind of art breaks through all the established taboos in our society. The abject has a paradoxical effect on art: by being based on the underground side of civilization, it will seek in the unknown, in the instinctual, in the unclean, its true sense, a sense from which the human being has already unlinked. Perhaps this could explain the paradoxical and overwhelming success of artists such as Damien Hirst or the “Sensation” exhibition, which shuddered the structures of society and morality and had an unprecedented acceptance by the public. Whereon the third part, is intended to reflect on the purpose of some contemporary artists that use in fact corpses or corpses parts as artistic resources. Artists such as Witkin, Von Hagens, Teresa Margolles, each in its own way, are located in a taboo territory, that always seduced people. Despite the trivialization of death propagated by the media, such artists continue to make a terrible transgression to the social and religion customs of human communities, making their provocative and challenging artistic work, to be accompanied by a paradoxical, but guaranteed success. 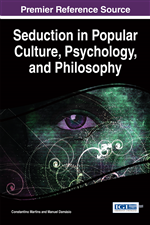 Having as main theoretical references of this chapter, the work of Julia Kristeva (Powers of Horror: An Essay on Abjection) and Arthur Danto’s paper (Marcel Duchamp and the End of Taste: A Defense of Contemporary Art), is intended to show the relationship between art and horror, enhancing its seductive aspect particularly with regard to the representations of death. Avoiding any kind of ethical approach or questioning of the limits of the artistic production, is meant to highlight the work of some contemporary artists. With unique and revolutionary artistic practices, abject art, which, among other issues, deals with the theme of death, constitutes a real vehicle to the philosophical reflection about existential issues. The Macabre representations in art exercise a fascination, attraction and curiosity that lead more to an acceptance than to a rejection (which at first glance would be more expected). The horror as an aesthetic category is a powerful mechanism for the human experience affecting all the senses, promoting and destroying concepts and affections in a paradoxically but very primal way. Art becomes the appropriate medium to represent what is present in the bottom of the being since immemorial times and that without the artistic discourse, would, for being such an uneasy territory, rather be silenced.